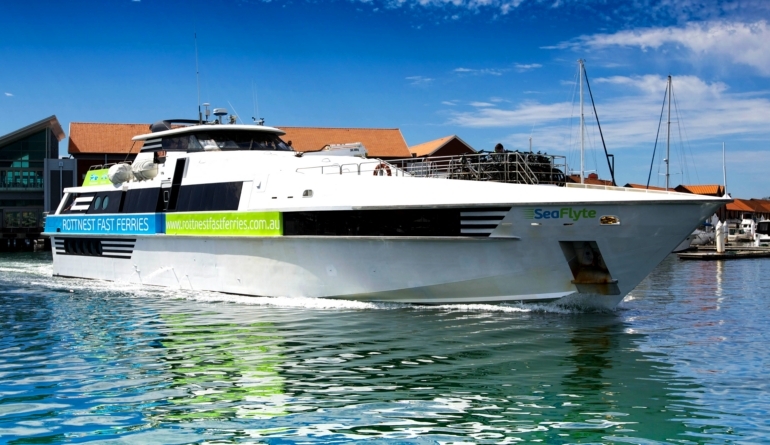 The “Sea Flyte” was developed for efficient low cost passenger operations and with the dual role of Whale Watching. 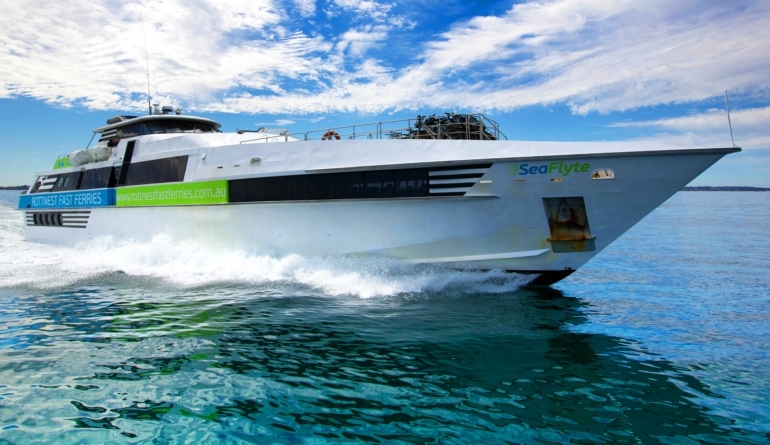 Our deep vee coastal version hull is now used on this same style of ferry, making for much improved ride in rough seas. 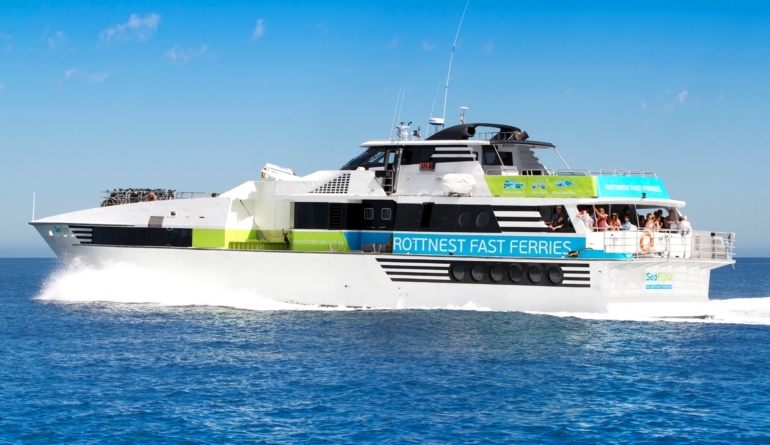 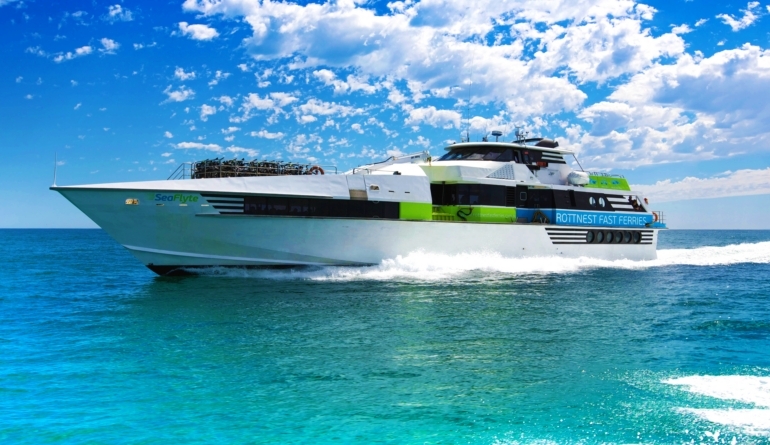 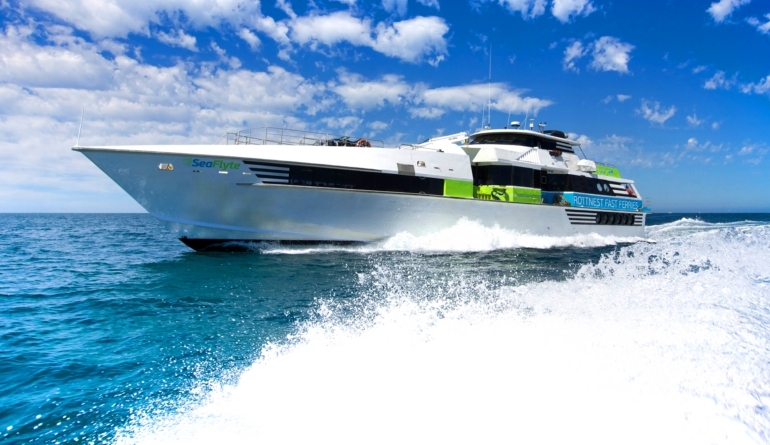 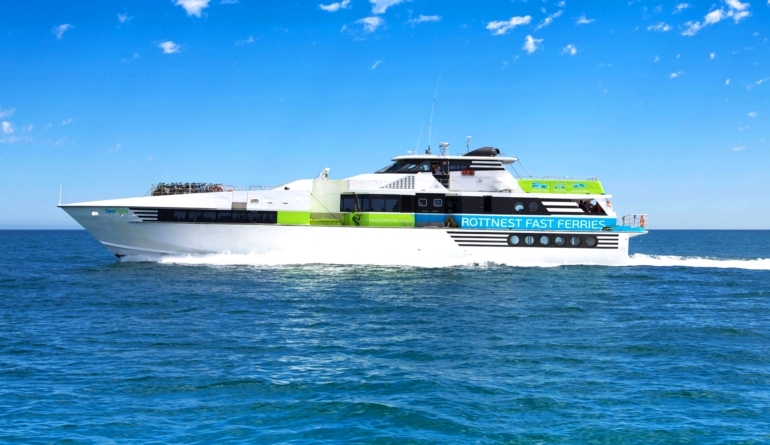 “Sea Flyte” has capacity for 277 passengers, 10 luggage crates below deck, and 150 push bikes and is powered by two economical CAT C32 engines which give a lively sprint speed of 28 knots. 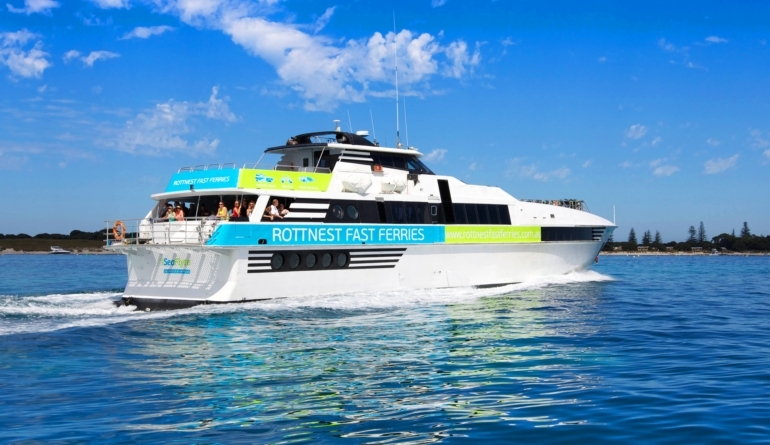 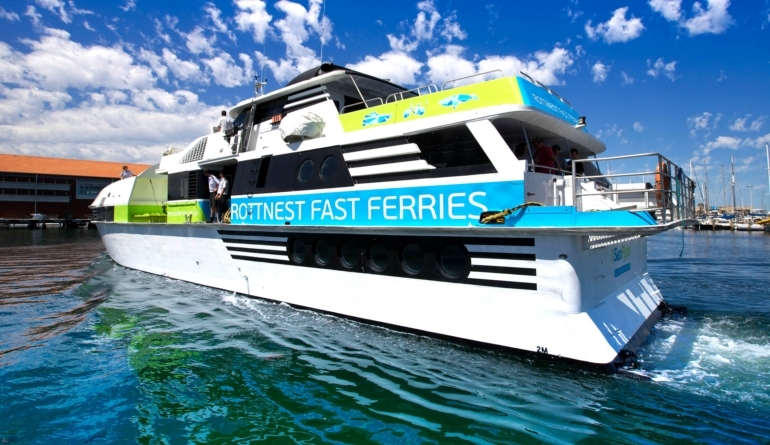 The vessel has spent over 20 years running from Hillarys Boat Harbour to Rottnest Island into the predominant South Westerly sea breeze the “Fremantle Doctor”, typically at 20+ knots and 1.5m seas.